A pack of fun cupcake picks, in a mix of four designs, adding a pop of colour to cakes or sandwiches, featuring vibrant colours of aqua and mauve. 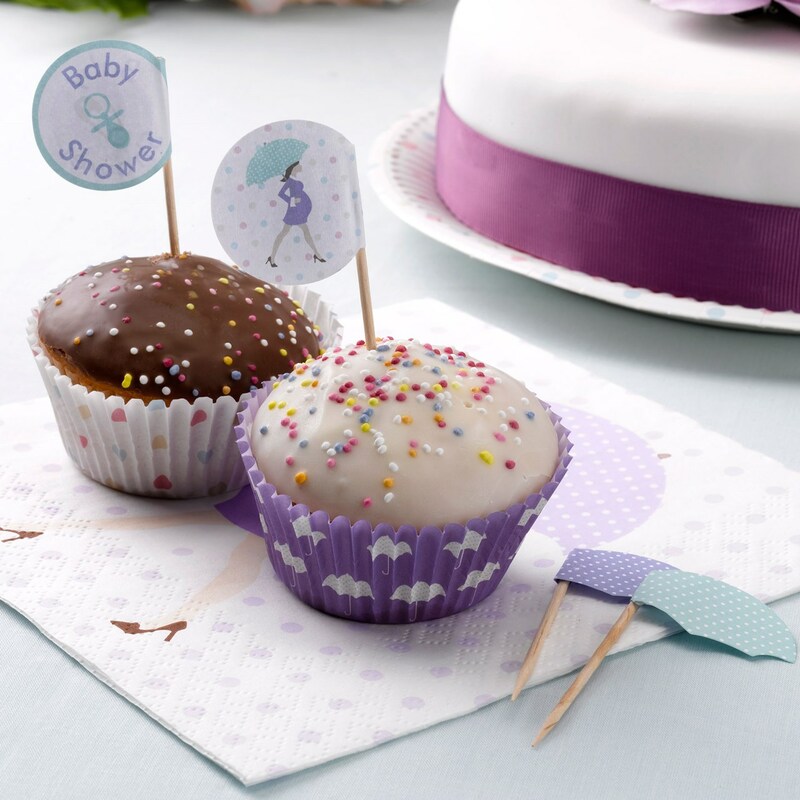 Each pack contains polka dot umbrellas and two circular pick designs, featuring a safety pin and mum-to-be illustration. Each pack contains 20 Cup Cake Picks, 4 designs.